Cessna 208B Grand Caravan N12373 crashed in Alaska in November 2013. 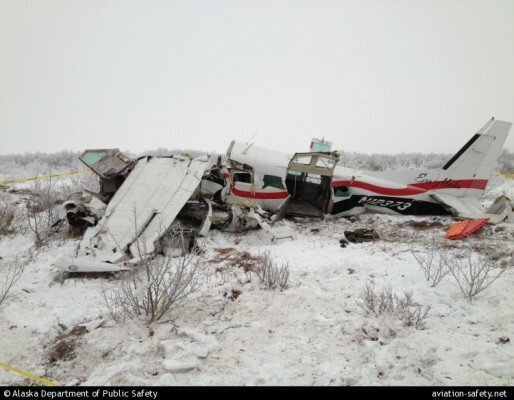 The U.S. National Transportation Safety Board (NTSB) issued an urgent safety recommendation to the Federal Aviation Administration (FAA) regarding the oversight of air operators in Alaska owned by HoTH, Inc., after six recent accidents and one incident. These operators include Frontier Flying Service; Hageland Aviation Services, Inc.; and Era Aviation, which may do business as Ravn Alaska, Ravn Connect, and Corvus Airlines. The NTSB issued an urgent safety recommendation to the FAA to conduct a comprehensive audit of the regulatory compliance and operational safety programs in place at HoTH, Inc., operators. The NTSB also issued a second, non-urgent safety recommendation that the FAA conduct a comprehensive audit of its own oversight of these Alaska-based operators. The oversight audit should be conducted by FAA units that are based outside of Alaska, the NTSB recommended. While the operator and the FAA have made several recent changes designed to improve safety and oversight, the NTSB believes that, due to the breadth of the issues identified during its investigations, today’s recommendations are necessary to ensure the safe operation and effective oversight of the operators owned by HoTH, Inc.